Titanium alloys: Combines high strength with light weight and excellent corrosion resistance. SEMCOR offers a variety of options to our customers in the Midwest thanks to our St. Louis headquarters. Apollo Butterfly Valves – Contact Us for product specific information. 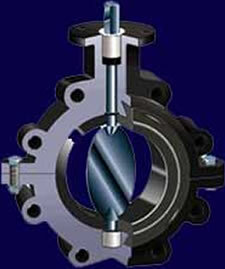 Nibco Sure Seal – Contact Us for product specific information. SEMCOR’s line of metal butterfly valves are available now. Every line has its own set of characteristics and our experts are available at any time to help you determine what’s best for you. Receive the help you need by calling us today.